ISTANBUL (AP) — The European Union and journalist associations expressed concern Thursday about a widening crackdown on media in Turkey, calling on Ankara to respect fundamental freedoms. As a candidate nation for EU membership, Turkey “needs to aspire to the highest possible democratic standard and practices, including on the freedom of the media,” said EU spokeswoman Maja Kocijancic. 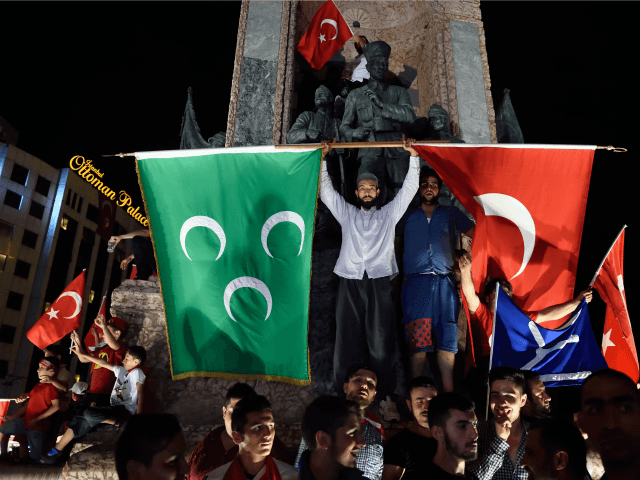 Turkey declared a state of emergency following a failed July 15 coup attempt that left 290 people dead, and is conducting a large-scale crackdown on people suspected of ties to US-based Muslim cleric Fethullah Gulen, whom the government accuses of masterminding the coup. Gulen himself has denied any knowledge of the attempted coup. Turkey has detained nearly 16,000 people for suspected links to the failed uprising, and about half of them were formally arrested to face trial. In total, more than 66,000 people have been suspended or dismissed from their jobs in the wider public sector for alleged ties to the Gulen movement, according to the state-run Anadolu news agency, including in health care, education, the judiciary, ministries, municipalities and even Turkey’s national airline. “It is worrying that, following the entry into force of the state of emergency in Turkey, arrest warrants have been issued against a large number of journalists and a number of outlets have been shut down,” Kocijancic told reporters in Brussels. Ankara has defended the crackdown, saying it is rooting out people affiliated with Gulen. Authorities have issued warrants for the detention of 89 journalists. Dozens of media organizations — most of them also linked or formerly linked to Gulen — were ordered shuttered late Wednesday. They include 45 newspapers including the daily Taraf newspaper, 16 television stations, including a children’s channel, 23 radio stations, 15 magazines and 29 publishing houses. Gulen was a close ally of Erdogan until tensions between the two came to a head with corruption allegations against Erdogan’s inner circle in 2013. For years, media affiliated with Gulen had been vocal supporters of Erdogan’s government. Some say many of the media affected by the current crackdown backed purges against other sectors in the past. Reporting in the Taraf newspaper was instrumental in the 2010 trial of pro-secular military officers accused of plotting against the government. The officers were later acquitted on the grounds that much of the evidence was fabricated. But the speed and scope of the current crackdown has alarmed media rights groups. “The situation came to a point where local media’s fear of being arrested is leading to an increasing muzzlement of the press, thus infringing fundamental human rights such as freedom of expression and the public’s right to know,” the International Federation of Journalists said. “I fear this purge may continue with other opposing media, especially the Kurdish media,” Ogret said. Detentions and arrests have not been limited to mainstream media, with several people in the last week having detention or arrest warrants issued against them on charges of insulting the president or praising the coup on social media, according to Anadolu. “The Turkish government’s news media shutdown shows how the State of Emergency law is being used to deny the right to free speech beyond any legitimate aim of upholding public order,” Human Rights Watch said in a statement.